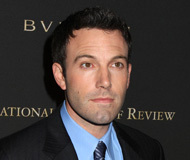 After being born in Berkeley, Calif., Ben Affleck relocated with his family to Cambridge, Mass. as a young child. Affleck worked as a child actor, appearing on the PBS children series "The Voyage of the Mimi," in addition to several made-for-television movies. His notoriety started to grow in the 1990s, starting with the 1995 film "Mallrats," which would be the first of many Kevin Smith projects. Two years later, Affleck’s stock rose when he starred as a comic-book artist in love with a lesbian in Smith's "Chasing Amy." Affleck then teamed with his childhood friend Matt Damon and the pair wrote and starred in “Good Will Hunting.” The 1997 film earned the duo an Oscar for best screenplay and propelled each of them to stardom. Affleck followed “Good Will’s” success with starring roles in many successful movies, including "Armageddon," "Forces of Nature," "Pearl Harbor," "Changing Lanes," "The Sum of All Fears" and "Daredevil," establishing himself as a leading Hollywood man throughout the early 2000s. After his career started to falter following a string of box-office flops, including "Gigli" and "Surviving Christmas," Affleck bounced back with a strong performance as actor George Reeves in the 2006 movie "Hollywoodland."